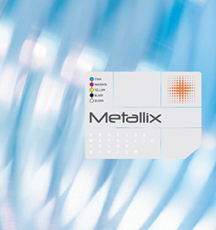 Our trademarked Metallix proprietary technique allows you to incorporate thousands of metallic colors on your next print project by using four colors, CMYK - and one additional special silver. Power up your imagination, and step up to create packaging, collateral, and promotions that shine and stay within your budget. We are also a provider of ClingZ printing for the advertising and corporate community.